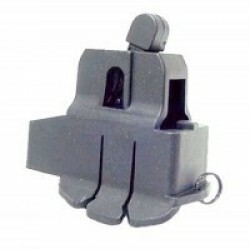 223/556 Personal pocket-sized magazine attached loader/unloader. Fits onto an AR magazine to assist in loading and unloading loose rounds into and out of the magazine. Painless fingers. Thumb operation. Prolongs magazine life, lightweight 1.3 oz. has only two parts.